Eat. Live. Laugh. and sometimes shop! : Up, up and away. 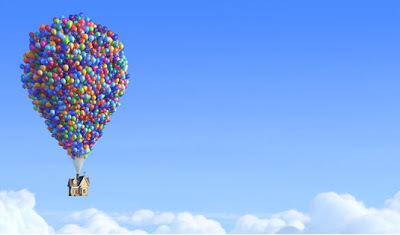 When 78-year-old retiree Carl Frederickson's house takes off into the air aided by the help of hundreds of helium balloons in Up!, viewers saw it as a heart-warming moment of pure fiction. A flight of fancy. A team from National Geographic, however, brought fiction to life. 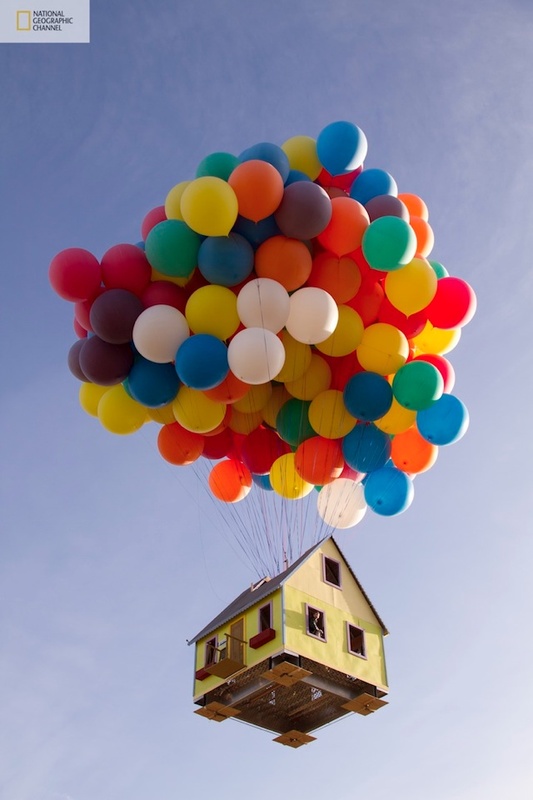 Scientists, engineers, two balloon pilots and dozens of volunteers built a light-weight 16 x 16 foot house, attached 300 helium-filled weather balloons (each of which is 8 feet tall when inflated) and managed to get the small house 10,000 feet into the air. Setting a new world record for the largest balloon cluster flight ever attempted, the entire aircraft from top to bottom was a whopping 10-stories high, made it to an altitude of 10,000 feet, and flew for about an hour. And yes, the house was inhabited when it took flight. You can catch the full story when the new series "How Hard Can it Be?" premieres later this fall on the National Geographic Channel. I cannot wait to see what they try next!